How can you identify the pests in your home? The first thing to say about household pests is that the vast majority of them are more of a nuisance than anything else. That being said, there are some pests which can cause damage to your home or which can bite or sting you or members of your family. This is why it's useful to be able to identify bugs that you may come across. Although, whatever bug is causing the problem you should really try and resolve the issue as soon as possible; no type of pest infestation will go away on its own. We are going to take a look at the most common types of pests that can be found in homes. We will tell you about those pests which may cause the most problems in terms of damage and personal risk. Ants are one of the common types of pest you are likely to come across in your home. There are several different species of ant in North America and they can all be a nuisance if they come into your property in search of food. Several different species of ant can also sting or carry disease so you need to make sure you take immediate action if you have an ant infestation. Cockroaches are not as common as ants but they are very unpleasant if you come across them in your home. If you suspect you have a problem with cockroaches you can try using an online resource to identify which type of cockroach is causing the problem. This identification process can help you ensure that it's definitely a cockroach you are dealing with. 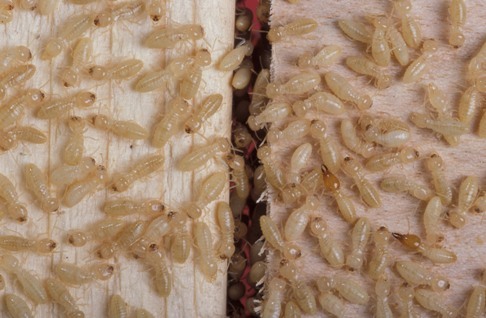 The last common pest we are going to look at in this article is the termite. It's often really difficult to identify a termite infestation problem because they tend to cause significant damage slowly. You may be able to spot termite tunnels around your property or, if you look carefully, you may see their feces. Of course, these are just a few of the pests you may need to identify; there are many more. You should never just leave a pest infestation and hope it will disappear; this is never going to happen. As soon as you suspect you have a problem with pests you should call a Burnaby exterminator to deal with the situation. They can help you to confirm you have a problem and they can tell you the process they will use to make sure your home becomes a pest free area again. Pest control treatment can include the use of a barrier liquid to prevent pests from getting into your property and the laying of baits to rid your home of any pest infestation which is present. Hopefully, we have helped you identify some of the more common pests that you could find in your home. Remember that, no matter what the pest is, you should seek help with the problem as soon as possible. Family Winter Vacation Packing List!